Palm Beach State College is slated to open its fifth campus in early 2017, just minutes from Arden, a unique master-planned community from Freehold Communities in Palm Beach County. 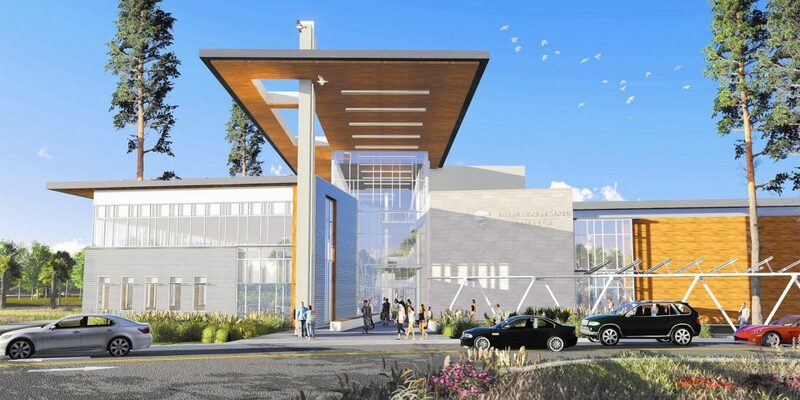 The college’s Loxahatchee Groves campus will specialize in innovative health sciences and technology programs, which reflect current and projected industry employment demands for the area, according to Grace Truman, Ed.D., director of College Relations & Marketing for Palm Beach State College. Located about five miles away, the college is a perfect fit for Arden, a community purposefully designed to magnify the connection between nature, health and happiness. The scenic community will feature 19 miles of walking and biking trails, multiple opportunities for fishing, kayaking and canoeing, an expansive great lawn for events and a five-acre community farm and barn where residents can gather for seasonal cooking classes, harvest events or farm-to-fork meals. The new Palm Beach State College campus will provide convenient access for Arden residents, enabling them to take advantage of quality higher education opportunities close to home. The Loxahatchee Groves campus will offer evening and weekend classes, online learning, continuing education for professional advancement and dual-enrollment classes for high school students. Students can choose from courses of study leading to a bachelor’s degree in nursing, associate degree programs or certifications in health informatics, coding/medical billing and medical transcription. “The campus will feature cutting-edge technology, laboratories and learning environments to optimize student success and give them a competitive edge in the job market,” says Dr. Truman. Additionally, through a partnership with Modernizing Medicine, the college is creating a training hub at the campus for students and medical professionals learning to use electronic systems for digitizing and managing patient records. The 75-acre campus will be developed in phases, and the first building can serve about 1,200 students. As subsequent phases are built, enrollment capacity will increase. Arden is located at 660 Arden Lake Way, Wellington, FL 33470. Palm Beach State College’s Loxahatchee Groves campus address is 15845 Southern Blvd, Loxahatchee, FL 33470. To learn more about Arden and all it offers, sign up to join the Founders Club. You’ll receive email updates, invitations to special events and other news.